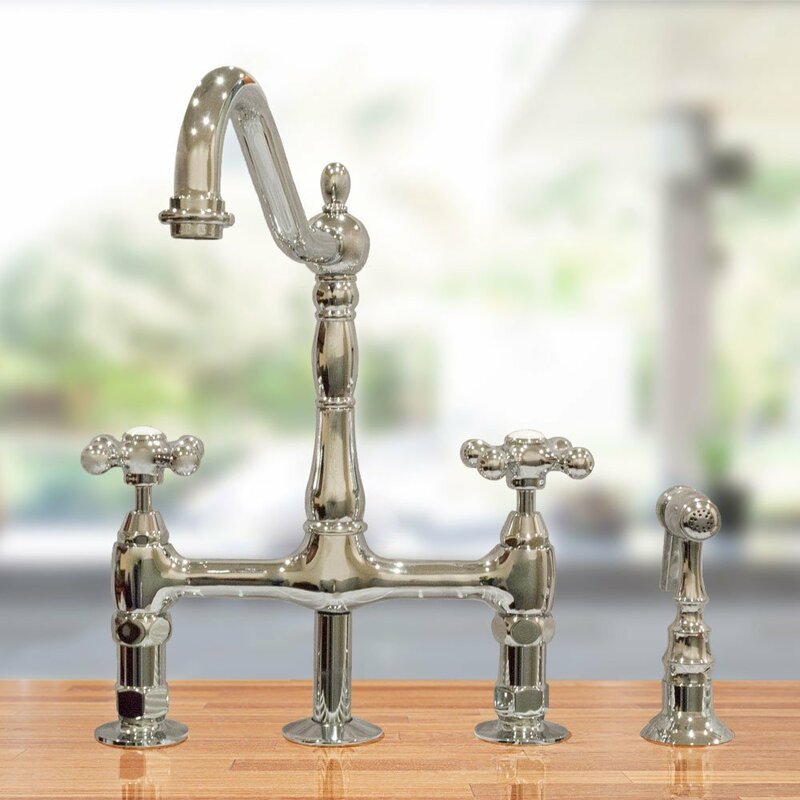 Typically mounted on the countertop or kitchen wall, bridge faucets have an old world charm that pairs well with an assortment of sink styles, including farmhouse, fireclay, undermount, and stone sinks. 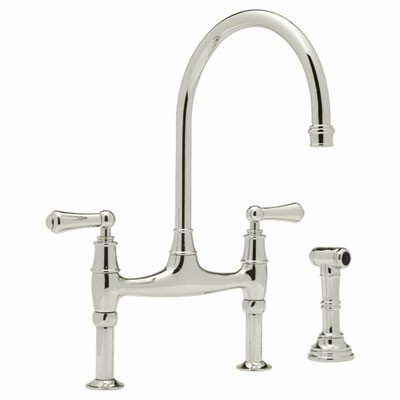 This week’s Five-Star Friday highlights several customer reviews on some of our most popular bridge kitchen faucets. 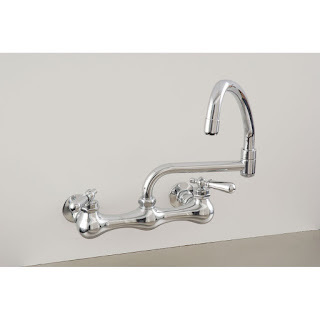 “I haven't had this faucet installed yet, but we were so pleased when we opened the box- it is beautiful! Very nice quality. Perfect for our 1905 house. Can't wait to have it in our kitchen!!" 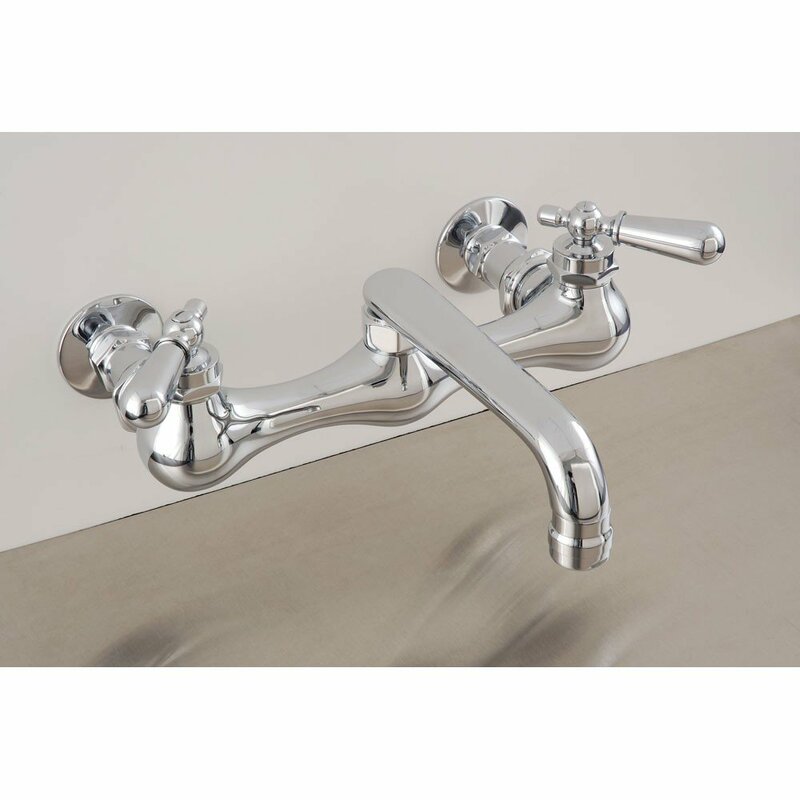 "Faucet is stunning in person. We opted for the polished nickel and installed ours with a Rohl Farmhouse sink. Absolutely worth the money - spectacular!" "This is truly a quality piece. We had this installed by a plumber on an old farm style wall sink. The plumber made it look easy and had it installed in minutes. The nickel finish is beautiful, the swivel works great, and you can tell that it's a solid and quality piece in handling." "This faucet exceeds my expectations for design and quality. It is also due to the excellent customer service that I was able to find what I wanted. Your knowledge of your vendors and their products found a way to install the faucet without having to remove the tile from the wall. The item was also shipped quickly and arrived in perfect condition. 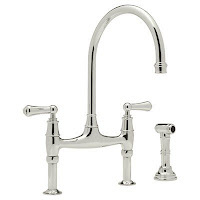 I am extremely happy with this purchase and will look at your catalog first if I need other faucets." 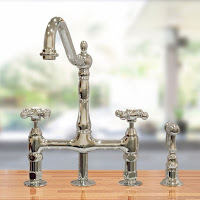 Have you purchased a bridge kitchen faucet from Vintage Tub & Bath? If so, make sure you review your product at VintageTub.com. You could be featured in a future Five-Star Friday post!